Just imagine your blog post as Google Featured Snippets in Search Result. It's that cool? Oh yeah, it is. As a blogger you should feel proud about your blog post, as for billions of folks your article is featured on Google front page. Featured Snippet is a search result by Google which answers user’s how to, what, which kind of questions. 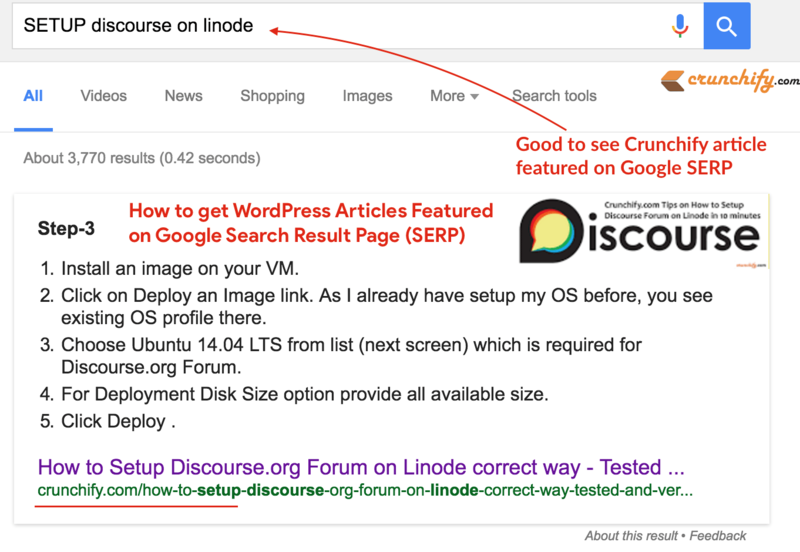 Snippet includes best answers from blog Post, Post link and Post Title in addition to featured image from post. Idea of featured snippet is to provide best answer to users without leaving the search result page itself. To be honest I like that idea and totally in for it. 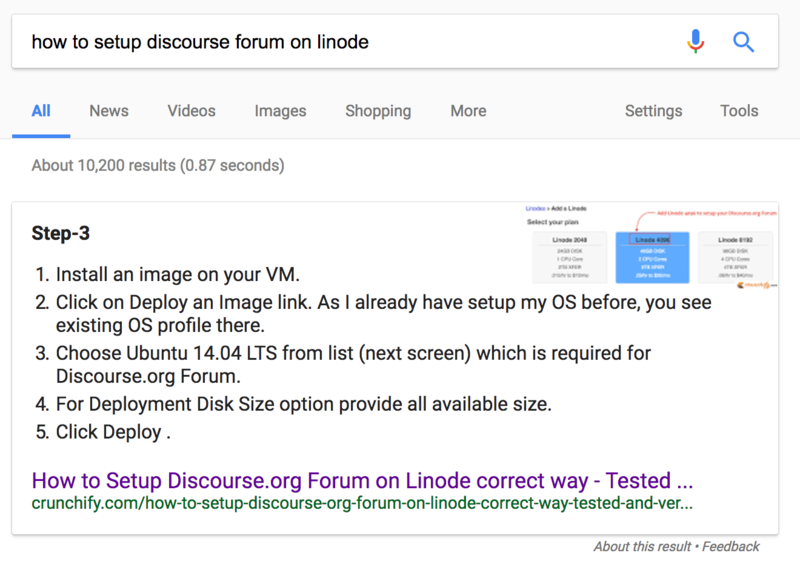 What do I have to do in order to have post featured in Google Snippet? As you could see in above snippet, Google also featured Crunchify’s Spring MVC tutorial category. I’ve provided very detailed description about Spring MVC and it’s concept. Take a look at Crunchify Sitemap and checkout last 100 articles. Your article should be easily readable and understandable by novice user. If your article helps others, it will help Google too 🙂 More and more users will come to your site and page ranking will go up. Try to add more Keywords. Look for related searches at the bottom of Google Search Result Page. You could use some of online tools like Google Keyword Planner or WordStream. Apply your best knowledge and provide best answer. Then why not all pages are featured in Google Search page? 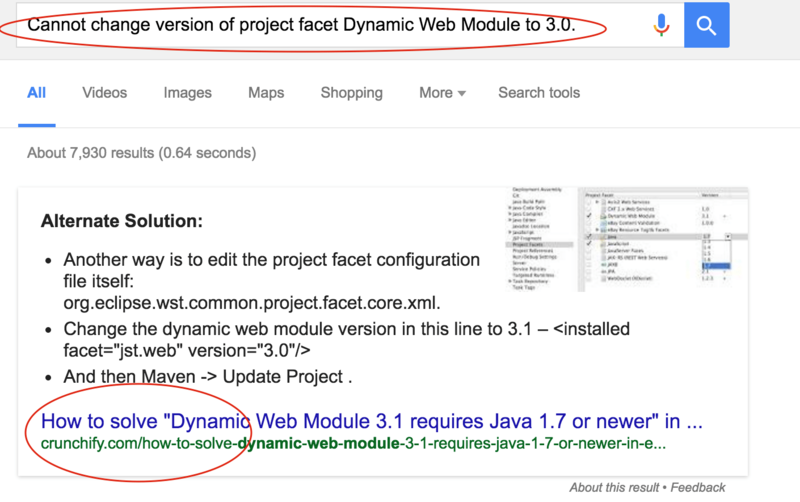 There is no way you could manually push your article to feature in Google search page. 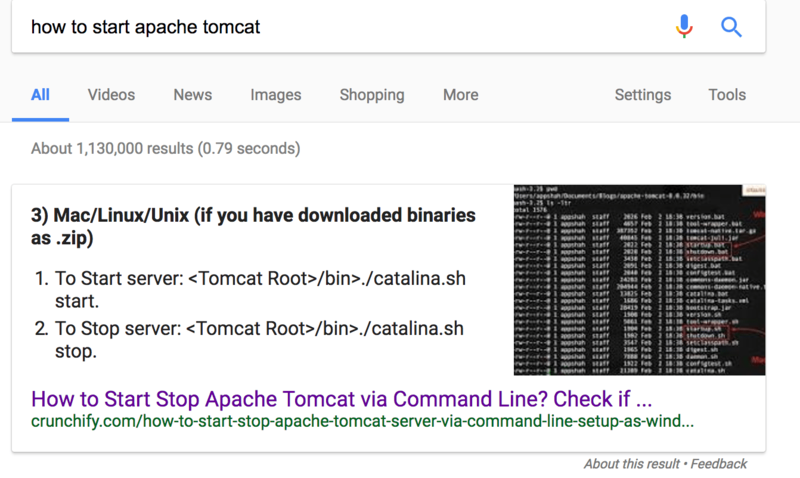 Google programmatically determines that a page contains a likely answer to the user’s question, and displays the result as a featured snippet. Once you publish your article, wait for couple of days. If article has best value and interest for users, it will automatically be featured. For your reference, take a look at other below Crunchify’s articles and heading/URL which are already featured in Google Search Result Page (SERP). Over the time, result may get changed and there is no guarantee article will feature all the time. Try to be honest in providing your answers, optimize your content for users, break down contents into small parts and provide lots of images if you could.